The fact that you are reading this tells me that you are interested in finding out a little more about me (Lynda Pedder, owner and founder of Poppy’s Chocolate) and us, the people that make Poppy’s Chocolate great. So, here it is, my (our) story. Little did I know, but that simple question, would take me on a journey into CHOCOLATE LAND, a journey I never imagined! I was on the search for some quality chocolates on the Gold Coast as a gift to myself in early 2005. Well, actually, I had told my (then) husband that if he ever wanted to do something romantic for me, he could simply buy me some good QUALITY chocolates. However, I almost immediately realised that he probably had NO IDEA what GOOD CHOCOLATES were, so I embarked on a search myself with a MISSION TO EDUCATE. Soon, I was very disappointed, because I couldn’t find any that met MY STANDARDS! There were some chocolate shops but the quality of these was sadly lacking and I just couldn’t believe that it was THAT HARD to find gourmet chocolates on the Gold Coast. I travelled further afield to Brisbane, and then Sydney, and found these scenes rather wanting as well. Like an excited kid wanting to OWN their own Candy shop, I jumped straight in! This MUST BE AN OPPORTUNITY! Having worked in PRODUCTION MANAGEMENT for the LARGEST privately owned food production company in THE WORLD, and having past experience as a business owner, I knew I had the skills to do it. Yet doing it, making chocolates, would take me into unchartered waters. I embarked on a new mission: MAKE THE BEST CHOCOLATES IN AUSTRALIA. I had made chocolates as a teenager with my grandma, so I knew the basics and always loved making them. I shopped around and found a small chocolate business that had been making chocolates since 1993 for hotels and airlines which was for sale. THIS IS IT! I told my (then) husband. We should buy this. We can turn this into a PREMIUM chocolate supplier. There is nothing good out there. Especially not in Queensland. So we did, and I immediately started overhauling products. First port of call, quality. Then we launched a new range to become the FIRST chocolatiers, in Australia, making QUALITY COLOURED CHOCOLATES. I wanted them to just look amazing. But more importantly, they had to taste DIVINE! 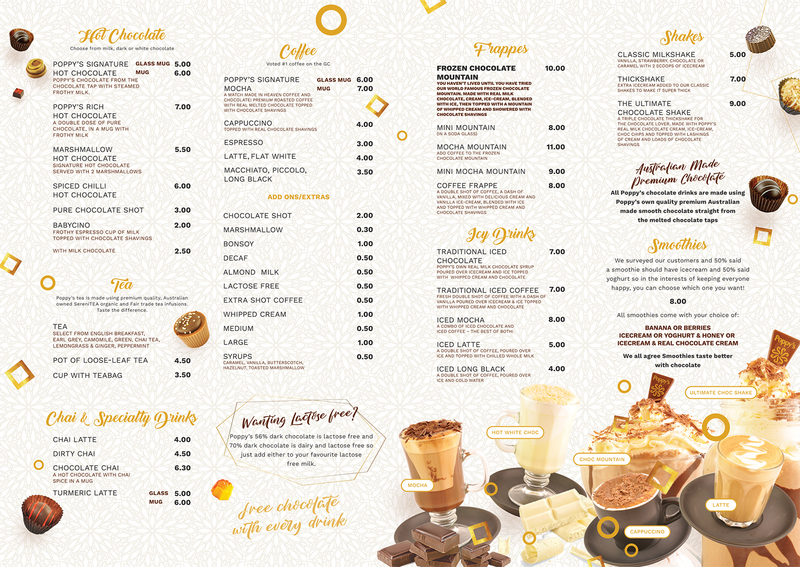 We moved the business to Beenleigh from Brisbane, which was conveniently halfway between Brisbane and the Gold Coast and I bought a café on the Gold Coast only 6 weeks after buying the chocolate business. Yes, I know that is pure insanity, but I had a grand vision. We could convert the café into QUEENSLAND’S FIRST CHOCOLATE CAFÉ, Choclicious. People thought I was crazy. Maybe I was, maybe I wasn’t! My grandmother had embedded (yes I mean embedded) a love of sweets and desserts in me that made narrowing down the product choices for our café customers really difficult but also, always fun. CREATING! I was doing something that allowed me to be creative, while using every inch of my business and corporate experience at the same time as experiencing the thrill of not knowing what the hell I was doing. 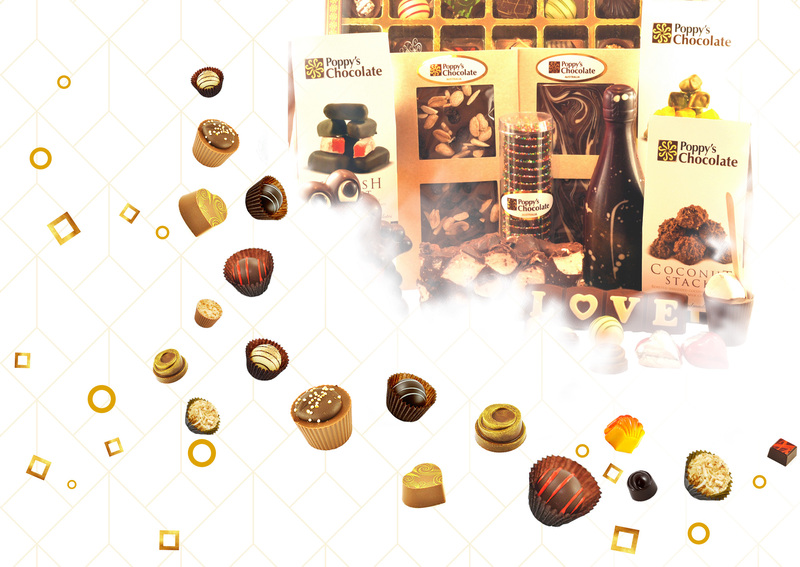 After 6 years we decided to concentrate on wholesale, so I sold Choclicious. Our wholesale business and the factory expanded over the years and needed more of our focus. However, I love selling chocolates directly to the person consuming them because I just love watching their faces and the joy they experience when they eat good chocolates. So, when an opportunity came up to expand our factory into the adjacent unit, I was quick to decide we would also start selling directly to the public from the Beenleigh factory. This was 2011. As some of you might know, having your own business and growing it, tests all relationships to the max. Unfortunately, not long after, my husband decided the life of a small business owner was not for him and moved away. Here I was. Suddenly having to manage the business and bring up 3 small children, on my own. We divorced a year later. The journey has not been an easy one and it is challenging enough to be a single parent let alone run a business at the same time. My passion for chocolate kept me going then, and still does today, but more importantly, my passion for teaching my children that you have to work hard for what you want and, leading by example, allowed me to draw strength during difficult and challenging periods. 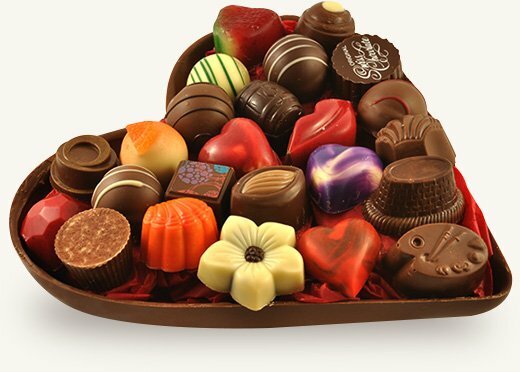 When I watch someone who has either a very difficult day or has very challenging life circumstances, eat one of our chocolates, I see how simple it is to give people moments of joy in their life in an otherwise painful time for them. This is never far from my mind. I see chocolate as a physical representation of love and I believe that aside from the magical taste, this is what makes it a product that people become passionate about. For me, it truly is a food with soul. In 2016, after being pursued by Robina Town Centre to open a chocolate shop, for over 6 months, I finally gave in and returned to focused retail. I now essentially manage 2 businesses and 3 children and I am definitely insane. But, I still LOVE CHOCOLATE! What is so important, and so many people in business forget this, your business is nothing without all the amazing people that work in it. 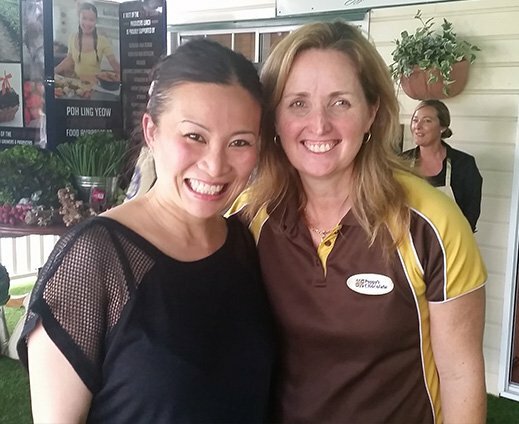 I am fortunate to say that I have amazing chocolatiers and team members, without whom it would not be possible to make you the best chocolates in Australia. 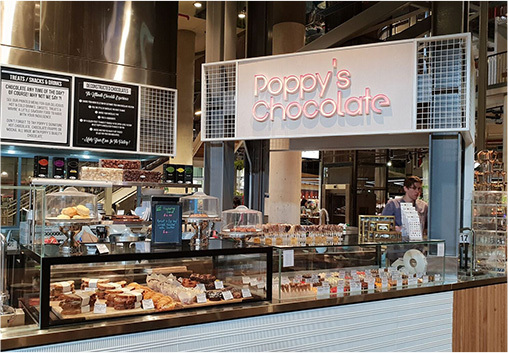 I am very proud to state that today, Poppy’s Chocolates are in retail shops all around Australia, available on airlines, quality hotels and often in places you don’t even realise. Every day, my team and I face a different challenge. Some, well, some could be viewed as MORE THAN A CHALLENGE, but by having built a great company, with great values, we take these on every day, with a BIG CHOCOLATE SMILE on our faces. I hope you enjoy our chocolates as much as we LOVE MAKING THEM FOR YOU. 1. Do you still eat chocolate? Of course! Every day! A day without chocolate is a day without sunshine. 2. Why aren’t you fat? (Yes, people do actually ask me this very frequently) Because good chocolate is good for you! If this is a concern, or you try and limit your calories, consider dark chocolate. I love my milk, but damn, a good dark chocolate is like a good red wine. Maybe takes some time to get used to the additional nuances, but once you do, a whole new world opens up. Dark chocolate accelerates your metabolism, which helps your burn those calories, rather than storing it. 3. Why is it called Poppy’s Chocolate? Poppy is my nickname. My mum used to call me Lollipop and then derivatives of this. Lol, Lolly, Pop, Poppy so it is fitting that my nickname is from sweets (which I have always loved) and that my chocolate business is called Poppy’s. Always wanted to VISIT a CHOCOLATE FACTORY? Poppy’s Chocolate Beenleigh may not quite be Wonka’s Chocolate factory (little kids falling in the chocolate, getting lost …..) but there is something MESMERISING about watching melted chocolate swirling around a chocolate machine, no matter how big the factory. Watch the WORLD CLASS chocolatiers at Beenleigh convert the delicious oozing chocolate into DELECTABLE TREATS that YOU can BUY direct from the retail outlet. 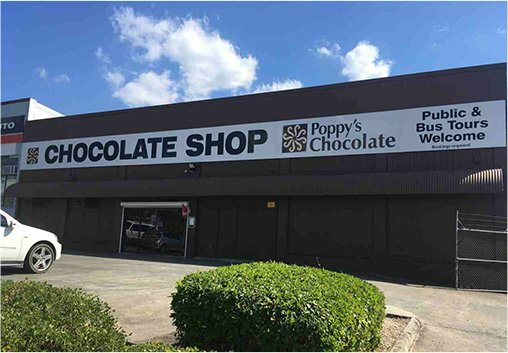 Poppy’s Beenleigh is a REAL factory operation, having been opened originally only to make chocolates for wholesale trade. It wasn’t until 2011 that we expanded and opened our doors at the factory to the public, after many requests from the local community for direct sales to them. On arrival at Poppy’s you feel instantly HAPPY from the smell of chocolate (studies show that just the smell of chocolate can MAKE YOU HAPPY). 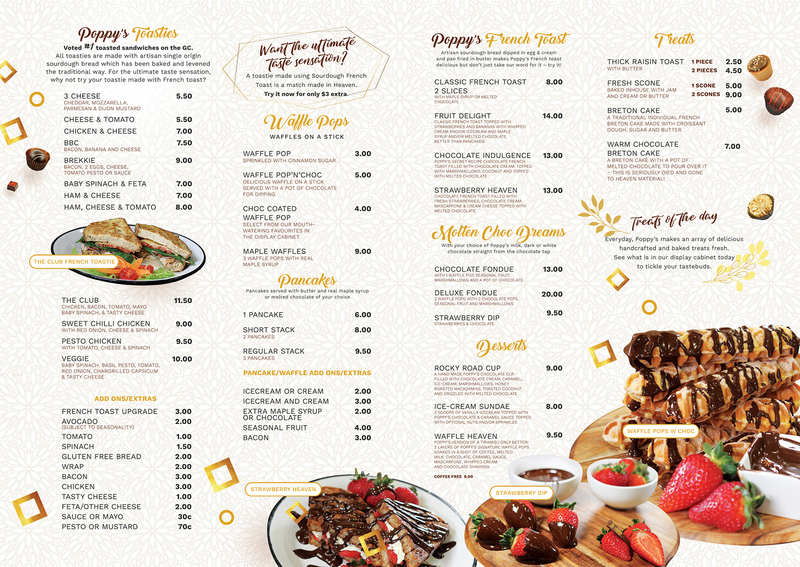 Plus, you will be indulged with a small sample to tickle your tastebuds! Like Poppy’s Chocolate on FB and Instagram to ensure you don’t miss out on any offers or join Poppy’s Chocolate Society (Loyalty club). 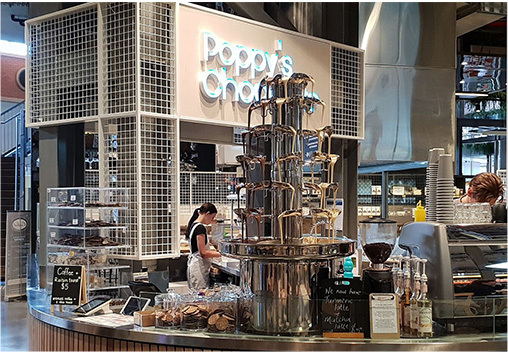 Poppy’s Chocolate’s newest CREATION is a new store at The Kitchens Robina Town Centre. The Kitchens is an EXCITING new food concept like no other in a shopping centre in Australia. We were honoured to be sought out by the makers of this great Food Mecca, where the FINEST of the finest is represented, and chosen to showcase the BEST chocolates in Queensland. Chocolate and coffee are a match made in HEAVEN so we also combined our LOVE of both these DELICIOUS TREATS in one location that offers everything you can DREAM of. The BEST mocha and the BEST chocolate frappe in Australia. The hot chocolates are to die for and you can see the REAL QUALITY CHOCOLATE on tap, the same chocolate used in YOUR DRINKS and YOUR DESSERTS. LIFE is all about balance though and we reluctantly admit that you shouldn’t have chocolate for every meal so a delicious range of TOASTIES made with ARTISANAL sourdough bread is also on offer. Try the French toast upgrade to have a toastie that will be the BEST TOASTIE you have ever had in your life! Like Poppy’s Chocolate Robina on FB and Instagram to ensure you don’t miss out on any offers or join Poppy’s Chocolate Society (Loyalty club).